It's always nice to see good work on the web, but not so much when it's good work turned bad. 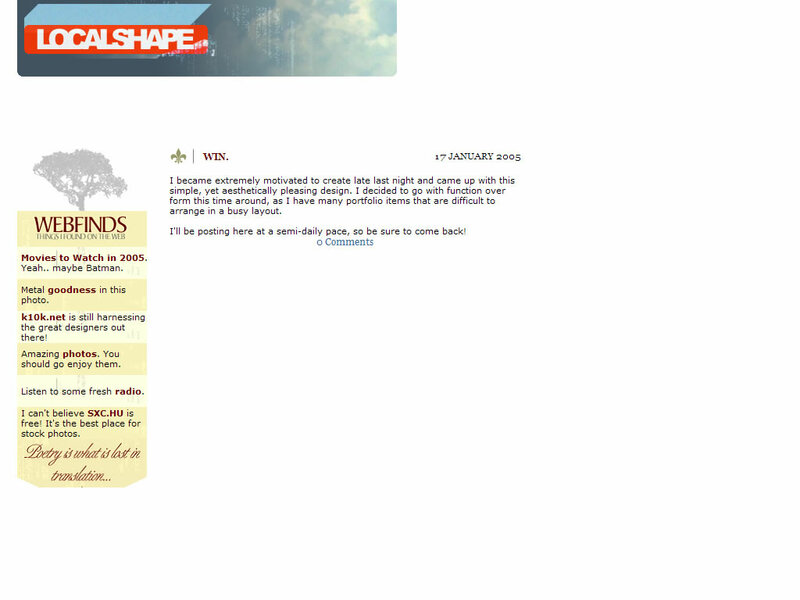 As is the case with LocalShape, a finely crafted website that apparently came after burning the midnight oil. I became extremely motivated to create late last night and came up with this simple, yet aesthetically pleasing design. I know how hard it is to come up with that design. It took me weeks and how it only took him a few hours... wow! I am in awe. Please join me in wishing Captain Asshat good luck with his new design.